« Fried Egg On Whaaa??? The first one…someone tell them it’s now 2011. 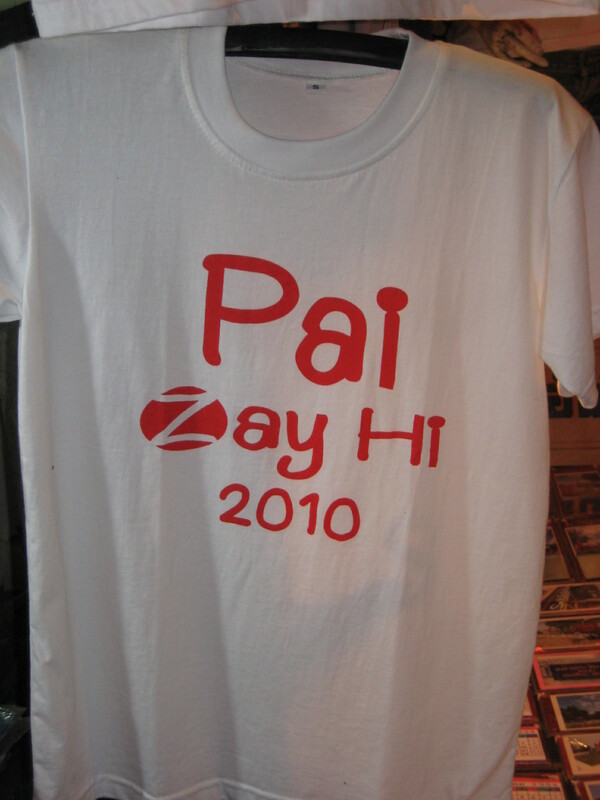 And even if you allow for the language difference for the “zay,” what does “Pai Say Hi” mean?? 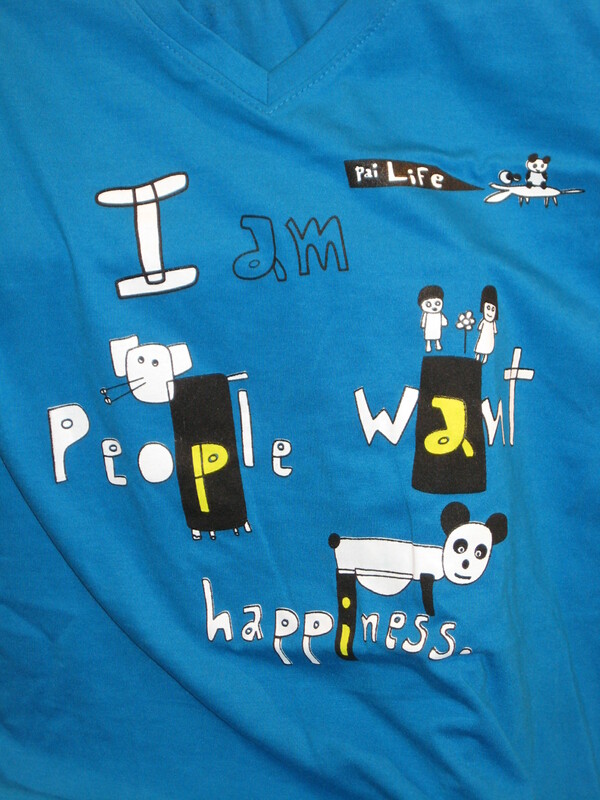 The second shirt is a take-off on the wi-fi logo used here. Again, what does this mean?? 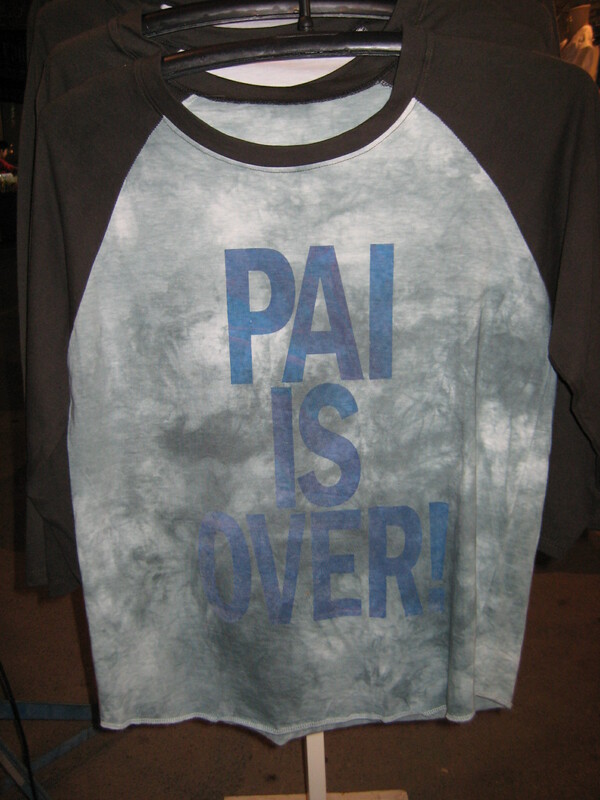 The third shirt, “Pai Is Over” is probably supposed to be a play on John Lennon’s “War Is Over,” but this shirt is basically saying “This place blows. Go Home!”. 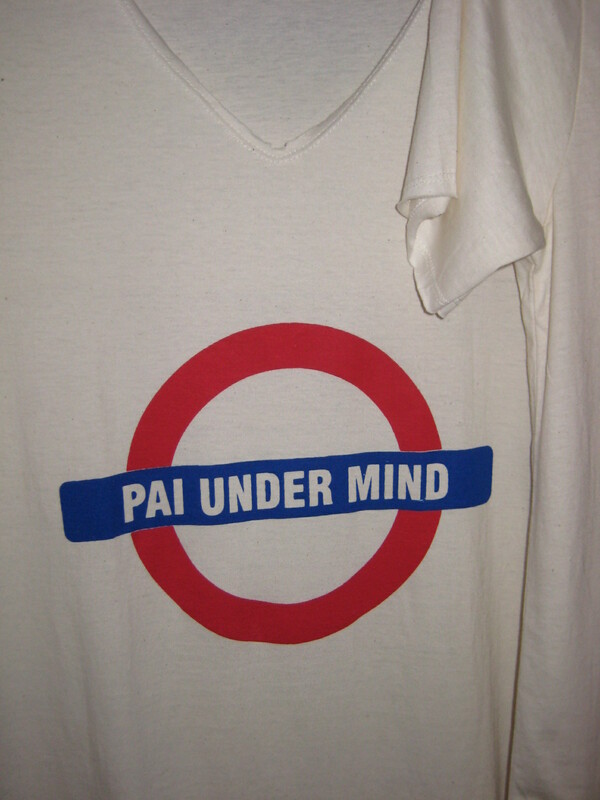 The fourth shirt is obviously using the London tube logo, but “Pai Under Mind”?!?!?! Huh???? No doubt, we’ve incorporated “I’m try” into our lexicon. This next image isn’t a T-shirt, but it’s the BEST sign I’ve ever seen. 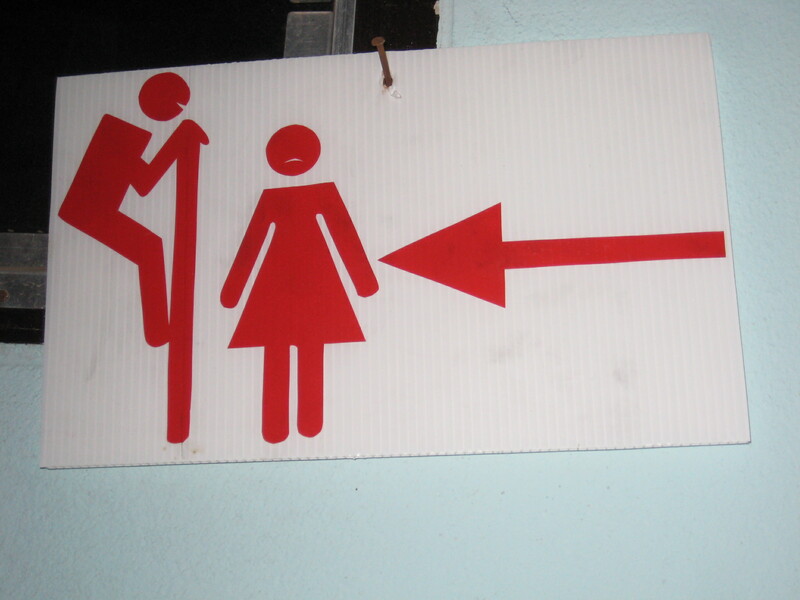 We can’t figure out whether it’s inviting women to be watched while they go to the bathroom (a turn-on for some women?? ), or inviting men to secretly watch women while they do their business. Or if it’s a warning to women that they might be watched. By their mouths, the guy looks happy and the woman looks mortified, so that might be it, but we’re not sure. Any ideas? Ha ha. I’m confused. But that’s nothing new as Fa would say. 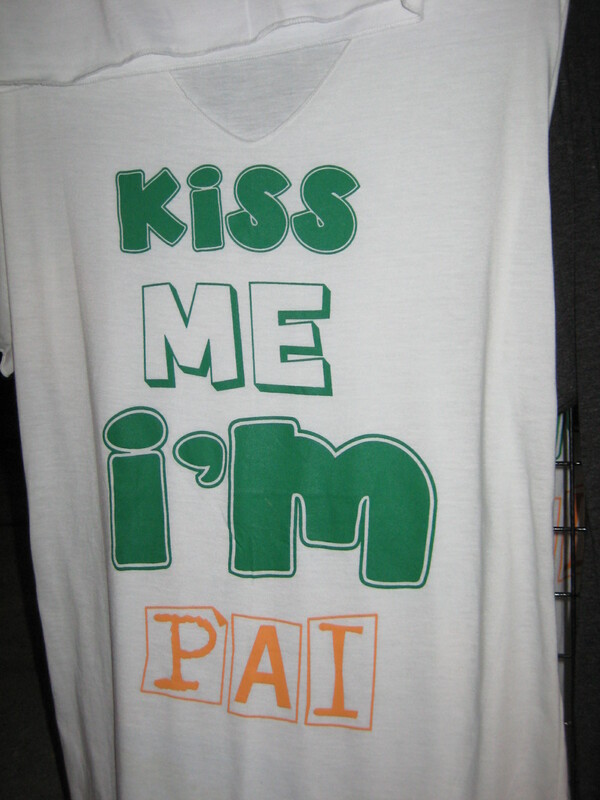 Does anyone there actually wear these? 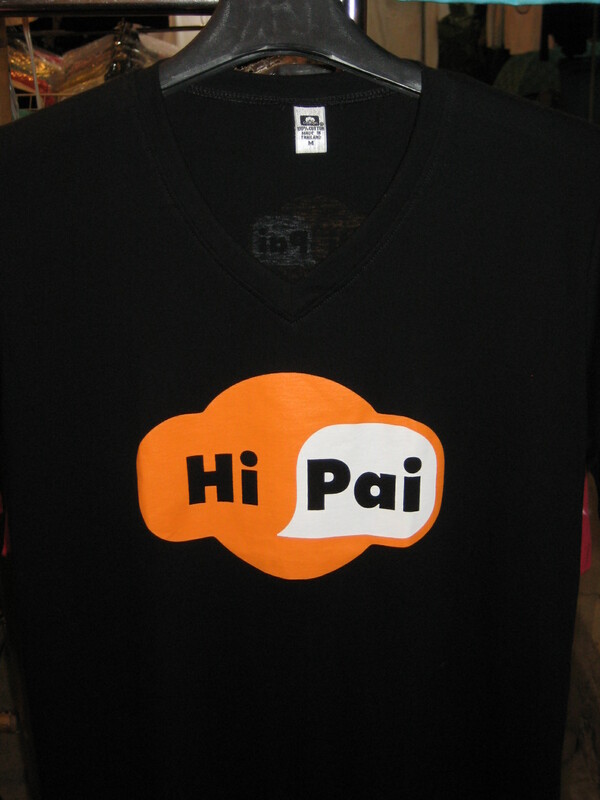 Did you see anyone purchase one while you were busy taking pictures? Or did you actually buy all of them to show us what they look lke? People wear all kinds of stuff here. I can’t say that I’ve seen people wear these in particular, but all kinds of others. 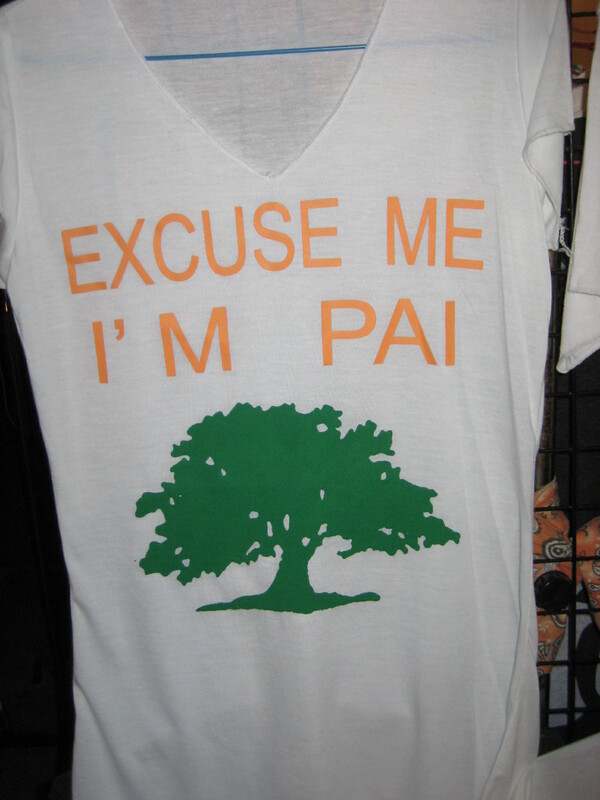 I didn’t buy any of these – just took the pics while they were hanging at the vendors. 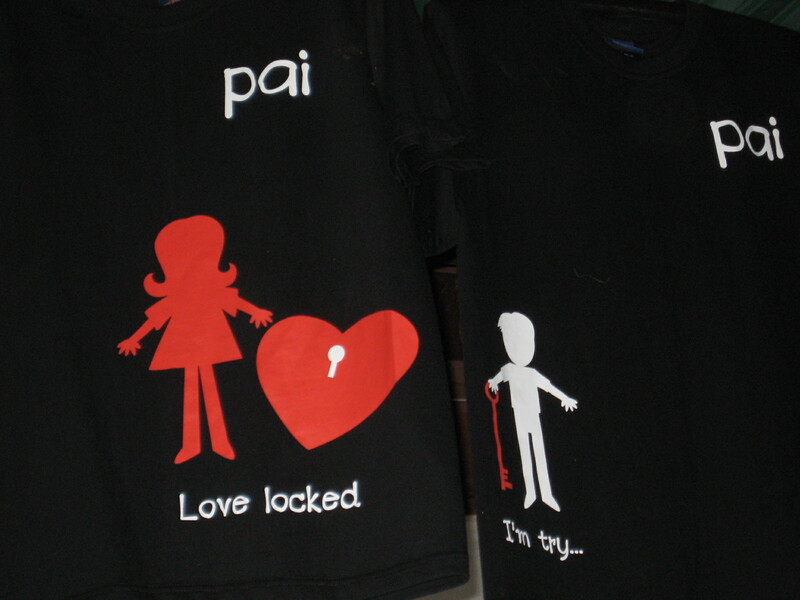 Fahrin wanted us to get the his-and-hers “Love locked” and “I’m try” shirts, but I declined. 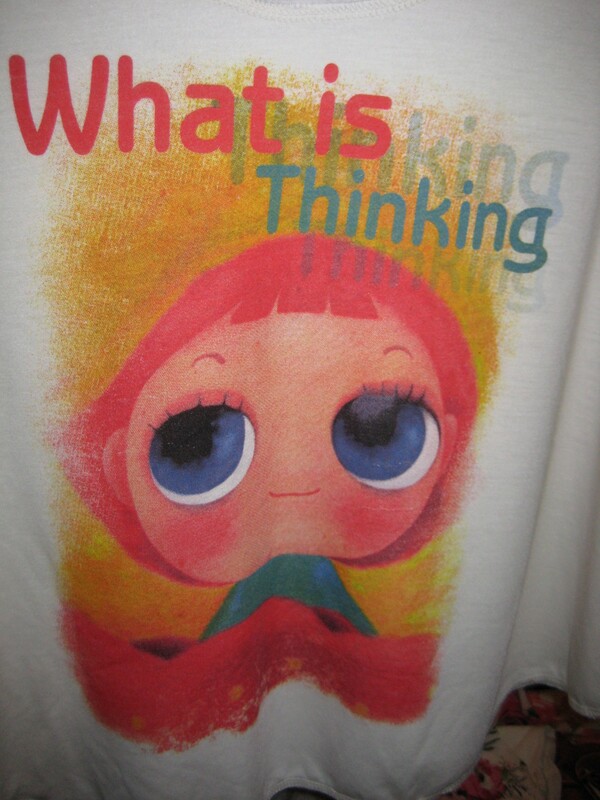 She also REALLY wanted to get “What is Thinking” but they didn’t have her size. 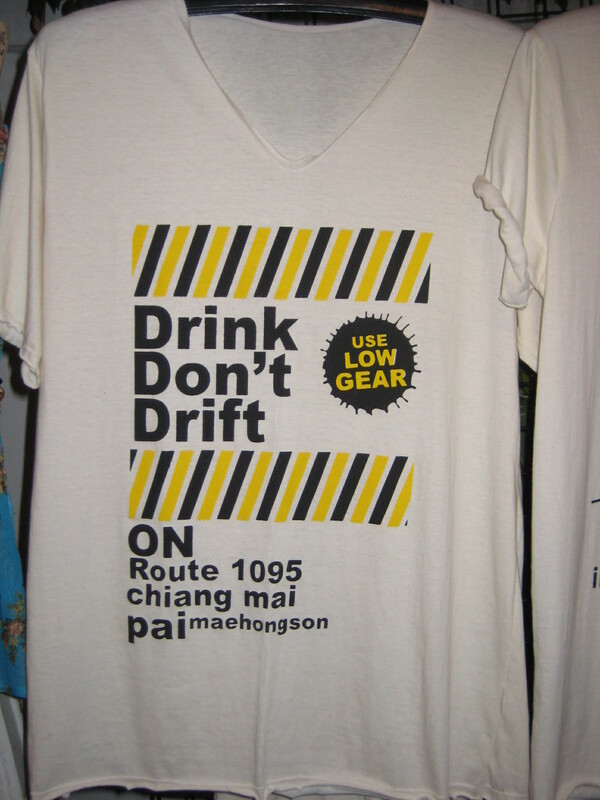 If I bought every ridiculous shirt we’d run out of money and have to come home. Is the Peeping Tom sign for sale? Unfortunately, it’s not. It’s the sign for the bathroom at one of our favourite restaurants. Oddly enough, neither of us has been to the bathroom there to do any peeping, or to be peeped. Next time we’re there I’ll go and report back on the experience. 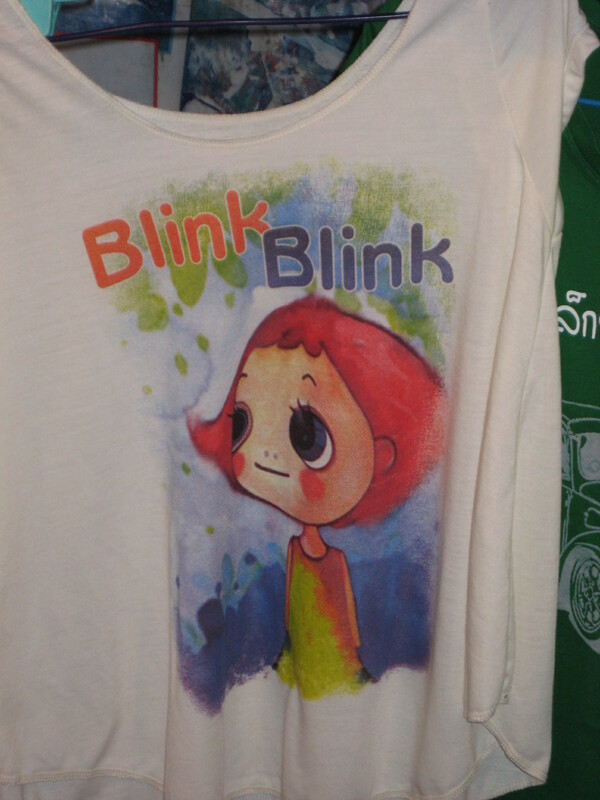 I’d like a ridiculous shirt from Thailand please… thanks! We’ll see what kind of ridiculousness we can find near the end of our trip (so we don’t have to carry it around for the next 4 1/2 months).